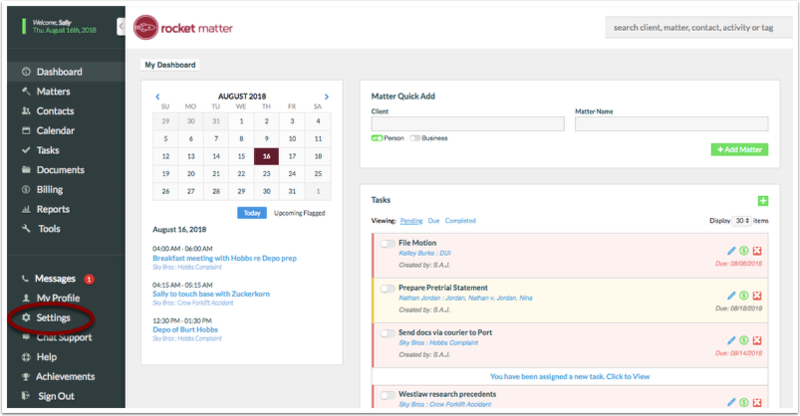 Rocket Matter Knowledge Base SettingsHow to add a new user. 1. Navigate to 'Settings' in the left-hand panel. Note: Administrative access is required to add a new user. 3. Select "+ Add a User" on the right-hand side of the page. 4. Enter all of the relevant information for the new user. 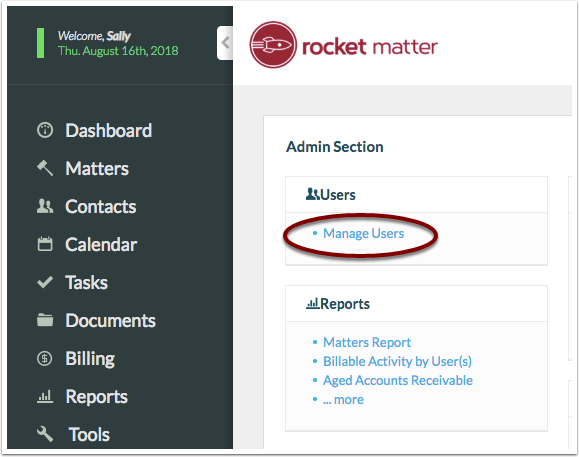 Is the email address Rocket Matter will use to identify the user is the system. If the user forgets their password, a link will be sent to this email address to reset their password. Hourly Rate: The user's default hourly rate. User Permissions: Are set to "Regular" by default. 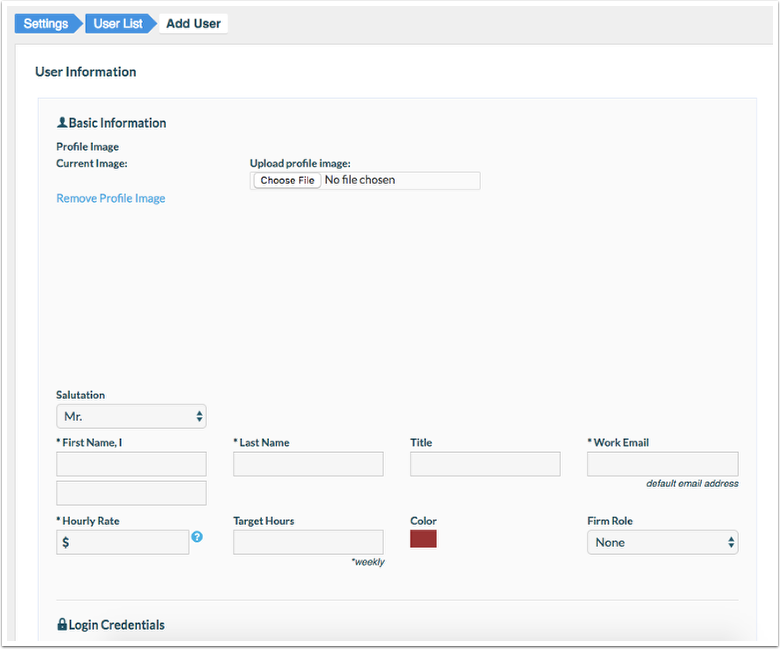 View the Permissions descriptions by clicking the blue question mark icons, and select the appropriate permissions. 5. Scroll down and click "OK" to save and add this user. 6. Review the subscription update alert to confirm the additional charges (if applicable), and select "Yes, add". Questions about additional fees when adding the new user? Please contact our Award-Winning Support Team at (888) 432-1529 or support@rocketmatter.com. 6. 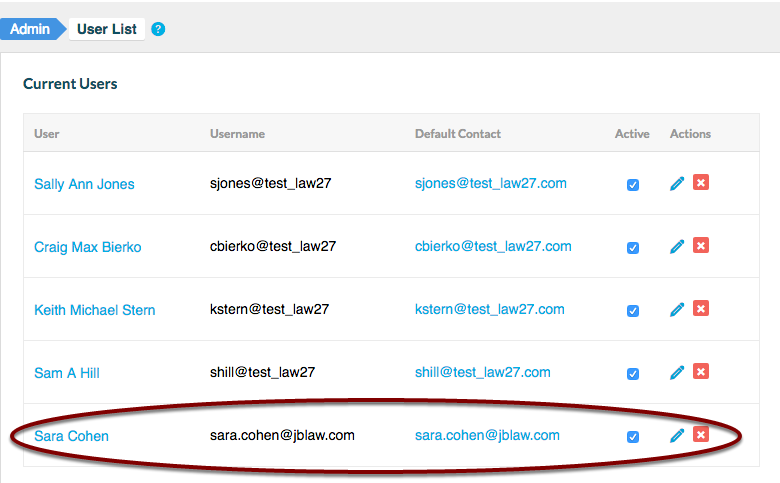 View your 'Current Users' list to confirm that your new user is active. Prev: How to update a users password. Next: How to update my payment information for my Rocket Matter account.